The Beaphar Multi Wormer for Dogs is a three week treatment that covers roundworms and tapeworms. Suitable for dogs older than 6 months, the Beaphar Multi Wormer system includes two different varieties of tablet; one that targets roundworms and the other targets tapeworms. Each week you administer one type of tablet and alternating between the pink and fawn tablets. The Beaphar Multi Wormer offers effective, complete and uncompromised protection for all domestic dogs from common roundworm and tapeworm species. Each treatment consists of three doses given at weekly intervals. Tablets may be taken whole or crushed and sprinkled into the dog’s food. 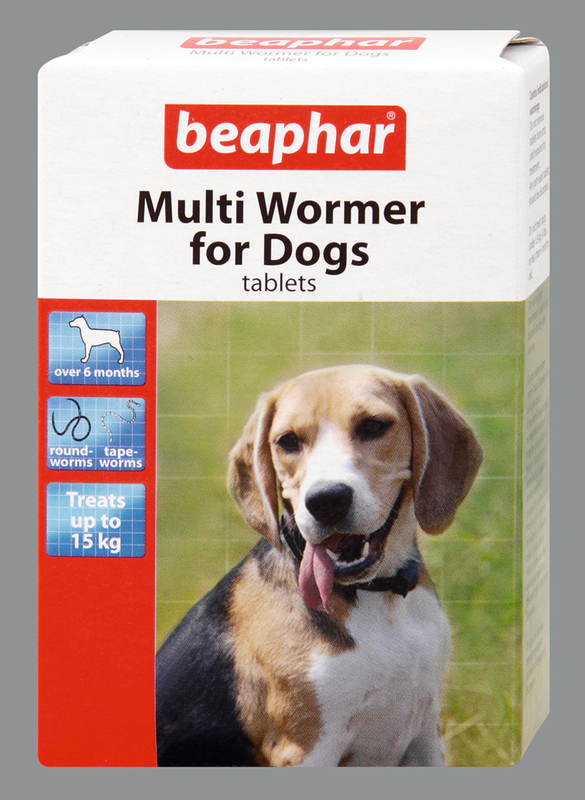 There are currently no questions for Beaphar Multi Wormer Tablets for Dogs - be the first to ask one!